© Steve Turner. All rights reserved. 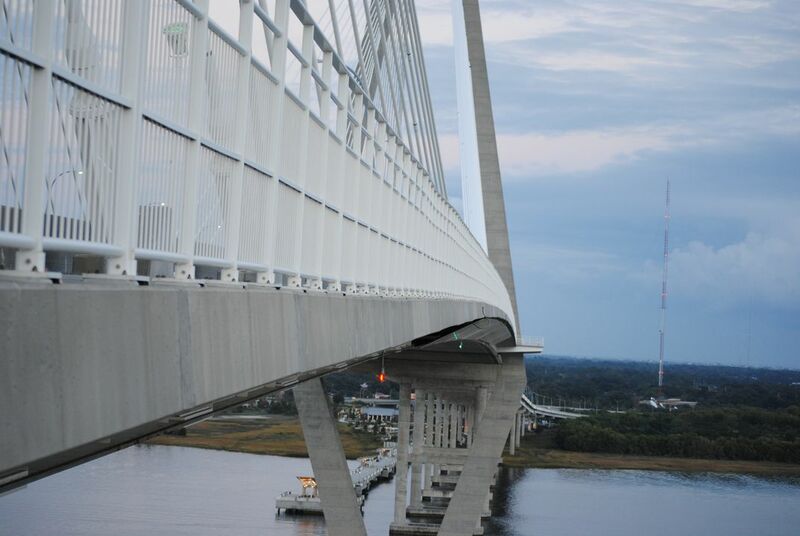 Arthur Ravenel Jr Bridge. North view from street level outside the railing. This bridge replaced the historic Grace Memorial and Silas N. Pearman Bridges in 2005, but quickly became synonymous with Charleston. Date Uploaded: Aug. 14, 2015, 11:49 p.m.